"We discovered that there's a third island! And they're plotting to destroy us all!" Sony Pictures Animation and Rovio Animation have debuted a full-length official trailer for The Angry Birds Movie 2, a sequel to one of the worst animated movies ever. Please no more! Make it stop! The Angry Birds Movie 2, of course, continues where the first left off with all the birds and pigs trying to be friends despite their differences. This time they're riffing on Avengers, teaming up to take on the birds from a third island across the water. The humongous voice cast features: Jason Sudeikis, Josh Gad, Leslie Jones, Bill Hader, Rachel Bloom, Awkwafina, Sterling K. Brown, Eugenio Derbez, Danny McBride, Peter Dinklage, Zach Woods, Dove Cameron, Lil Rel Howery, Nicki Minaj, and Brooklynn Prince. This looks as awful and as useless and as unoriginal and unfunny as the first, if not even moreso. But I'm sure some will laugh. You can still watch the first teaser trailer for Sony's The Angry Birds Movie 2 here, to see the original reveal. Meet Zeta, she's got tons of ice… and zero chill. They're back for more! A hilarious all-star cast of new and returning talent are brought together as the flightless birds and scheming green pigs take their beef to the next level. The Angry Birds Movie 2 is co-directed by animation filmmakers Thurop Van Orman (creator of "The Marvelous Misadventures of Flapjack" series now making his feature directorial debut) and John Rice (a veteran of TV animation including work on "King of the Hill", "Neighbors from Hell", and "Rick and Morty", also making his feature directorial debut). The screenplay is written by Peter Ackerman. Made at Sony Pictures Animation, presented by Rovio Animation. 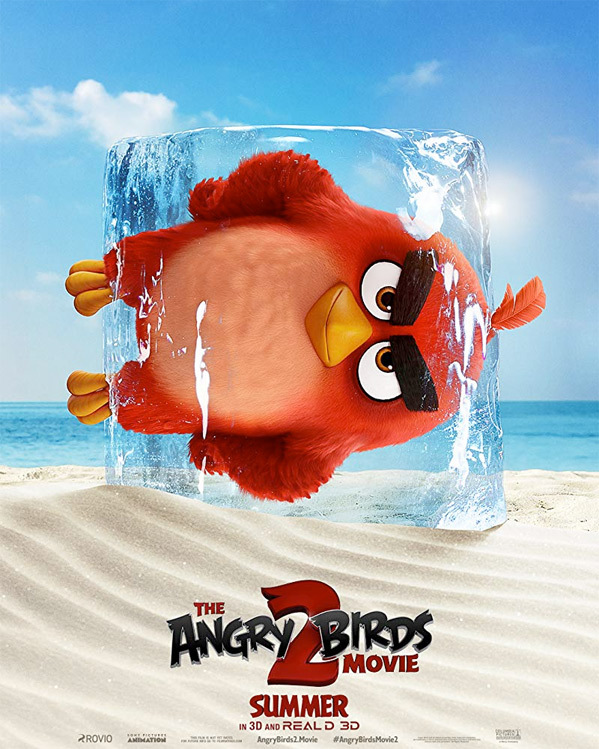 Sony will release SPA's The Angry Birds Movie 2 in theaters everywhere starting August 16th late this summer. Does anyone want to see it? Hopefully not?